Piping Lessons for People of all Ages! We have piping courses designed for Beginners, Intermediate Beginners and Advanced Beginners. Each course has defined and highly achievable goals. Students learn using a "practice chanters", a smaller form of the "chanter", used to play the melody on bagpipes (shown in the photo above). At the end of these three courses, students who follow our program should be able to play some simple tunes on a nearly complete set of pipes. 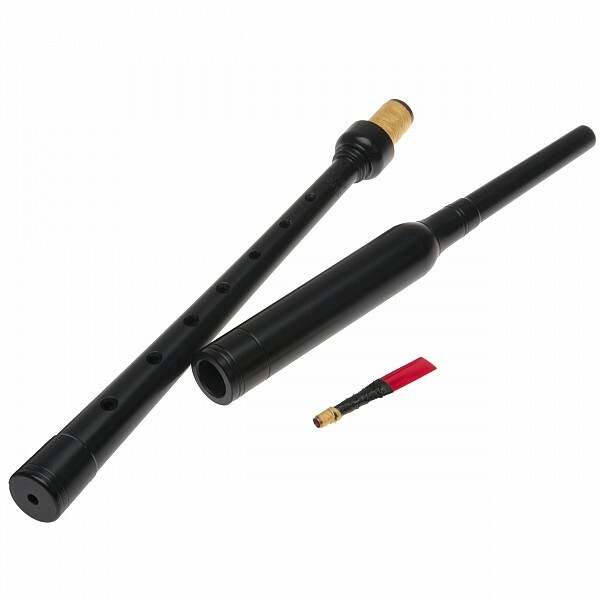 Novice Pipers continue their training on full sets of pipes, including the chanter and all drones (as shown in the above photo), learn a number of tunes and are taught how to play in pipe bands and other ensembles. 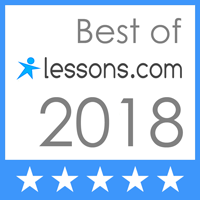 We are very happy to help people whose earlier plans to learn the pipes were cut short, and people who wish to qualify for membership in police and fire department or union bands. 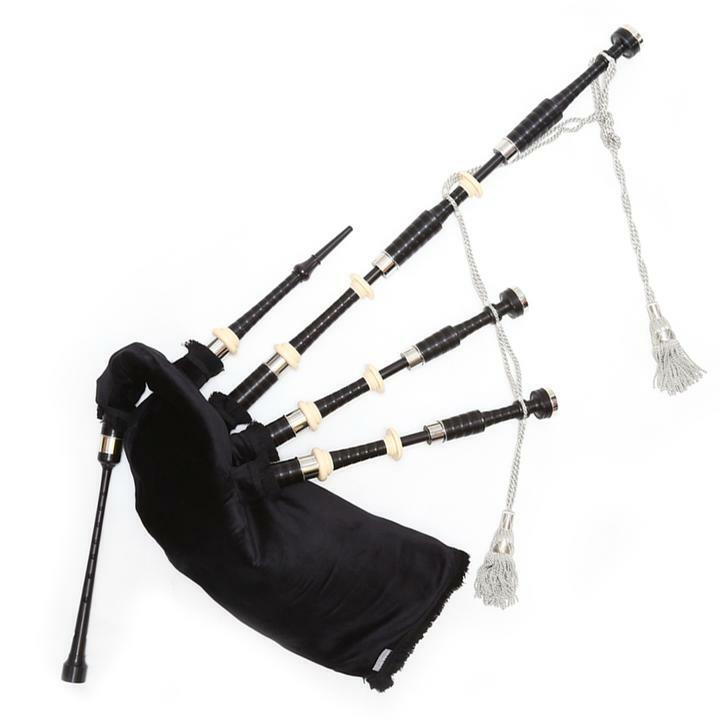 In our three Beginning courses, and in our Novice Pipers course, students receive a good grounding in traditional Irish and in other styles of piping. 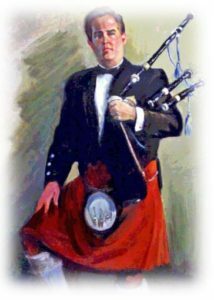 This Advanced Irish Piping course is designed for more advanced pipers who may not be familiar with traditional Irish music played on the pipes and/or who wish to increase their repertoire of Irish tunes beyond the usual simple parade tunes. We have established a new and innovative School of Piping called Ceol na nGleannta (Music of the Glens) We are happy to provide piping lessons to students at all ages and all levels. We can also arrange drumming lessons and lessons on the Irish tin whistle. “Ceol na nGleannta” is Irish and Scots Gaelic for “Music of the Glens”. We chose this name for our school because our main location is in Glenwood Landing, Long Island. Three neighboring towns in the area use the word “Glen” in their names – in English “glen” means “valley’ – because the valleys, hills, bays and inlets of the north shore of Long Island area reminded European people who traveled here of the beautiful glens of Ireland and Scotland. The nearby City of Glen Cove was meant to be named, with a slight variation, after one of them: “Glencoe” in Scotland. Pipers Robert Patrick Lynch and John Francis McManus have been playing the pipes, the “great” Gaelic bagpipes of Ireland and Scotland, for over forty years. They specialize in traditional Irish music of the same sort played by traditional Irish musicians on other instruments and they also teach music in the closely related Scottish style, a s well as general music as appropriate for the pipes. They have a proven ability to develop dedicated students from absolute beginners to pipers capable of playing a number of tunes on full sets of pipes within ten months. They also assist students who wish to revive previously abandoned piping dreams and they work with accomplished pipers who wish to broaden their musical horizons, especially relative to learning authentic traditional music not often available in pipe band settings. To arrange lessons, please contact us at 516-782-7494. 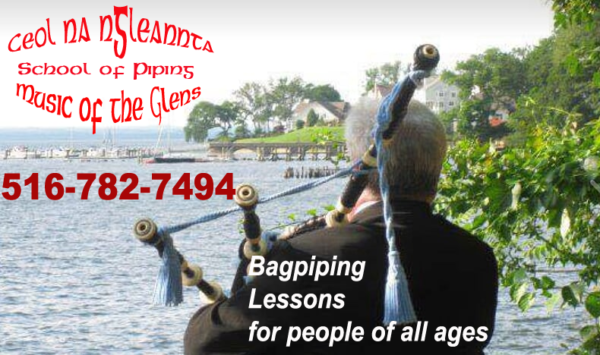 Please call or text us at 516-782-7494, email us at rlynch@pipinglessons.org or complete the form here.